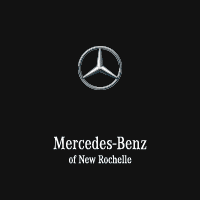 Mercedes-Benz of New Rochelle is proud to introduce our new General Manager, Chris Tokarz. Chris has been with the Pepe Auto Group for 21 years. Previously, he was the Service & Parts Director for the Pepe Auto Group. Chris is excited to be working with the New Rochelle team. He plans to give them all the tools they need to experience the success that comes with hard work and dedication! Initially, Chris was hired at the end of 1996 as the Porsche Service & Parts Manager, which he began on January 2nd, 1997. In August of 2001, Chris took over as the Service & Parts Director for Mercedes-Benz of White Plains until 2015. Chris is proud to have been part of a team that was an award winner for eight consecutive years. Shortly after, Chris was promoted to be the Service & Parts Director, responsible for all five Pepe Auto Group dealerships. He was also the Operator of our Vehicle Prep Center in Elmsford. Naturally, Chris played a big role in the grand opening that took place in March of 2016.